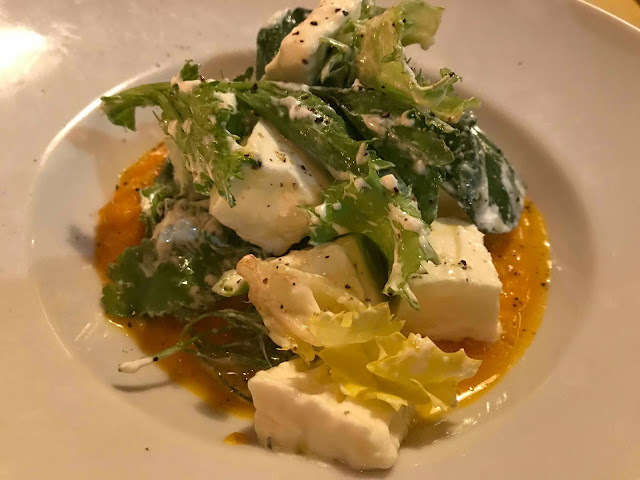 So far this year I've given you a recipe for unbelievably good ricotta, my newest pasta obsession, and a brownie parading as a cake -- you're very, very welcome -- so now that you have a few things to cook as you get acquainted with 2019, I'm here to give you a few places to try, too. In theme with the new year -- which is just nearly a month old, aww! 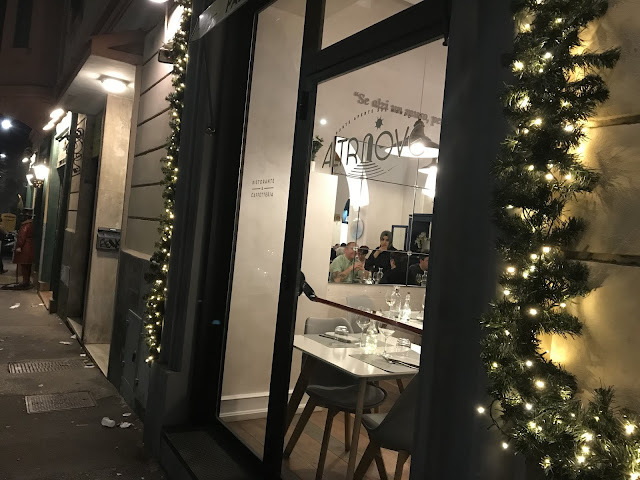 -- I wanted to share some of my new favorite places in Rome, ones that have opened not so long ago and that have quickly become some of my Top Favorite haunts in the Eternal City. As always: whether you're vacationing in Rome for a bit or living here like me, keep 2019 going in the right direction and pay a visit to all of the below, okay? Hours: Tuesday 8am-8pm; Wednesday-Friday 8am-midnight; Saturday 9am-midnight; Sunday 9am-4pm. 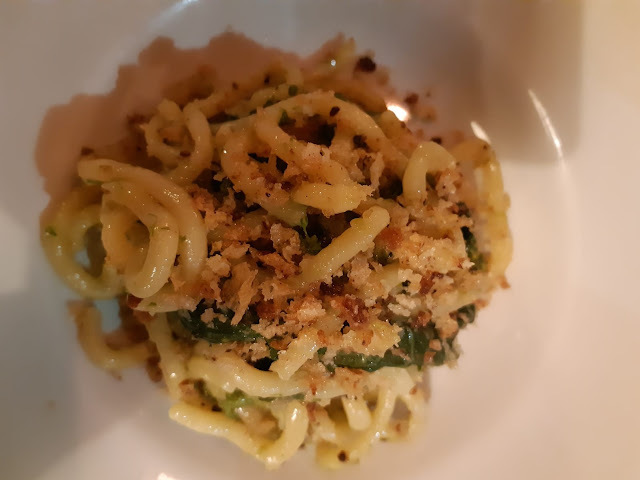 If you're looking to shake things up in a city of spaghetti alla carbonara e cacio e pepe, Altrove -- meaning elsewhere, in Italian -- is just the place. 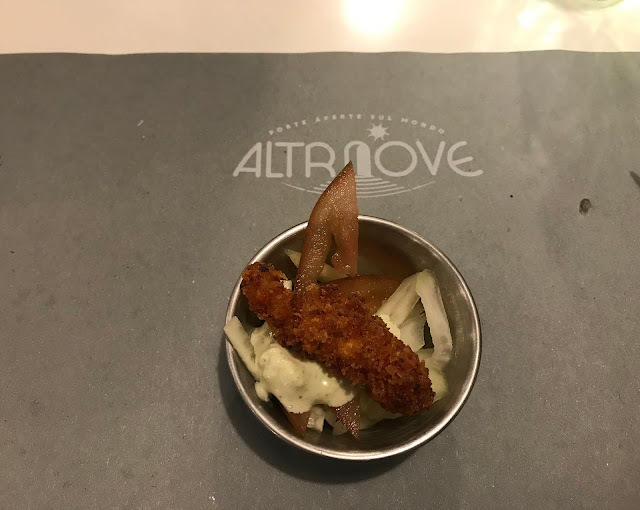 A little background: Altrove's staff comes from Matemù, a center where immigrants, refugees, and other marginalized young people can not only participate in language classes and recreational activities, but also take courses that gear them towards a professional career; in this case, a career in the restaurant sector. 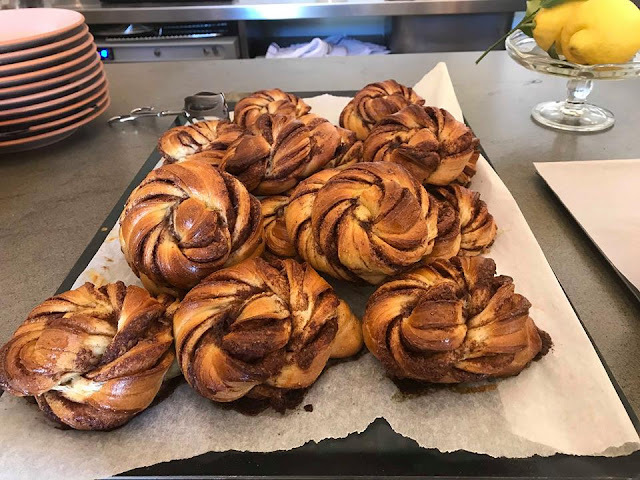 Altrove therefore has an extremely multicultural (and incredibly talented) staff, with chefs and pastry chefs from Africa, Asia, and Latin America. 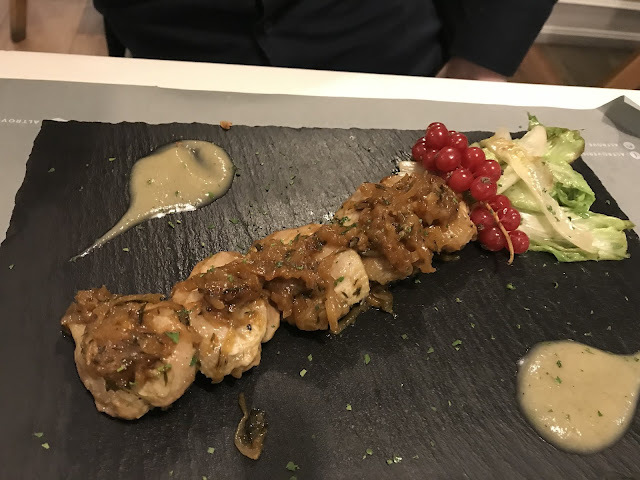 Its menu reflects this diversity; here you'll find dishes inspired by all sorts of different cuisines, making for an interesting, unexpected menu, hard to come by in Italy. 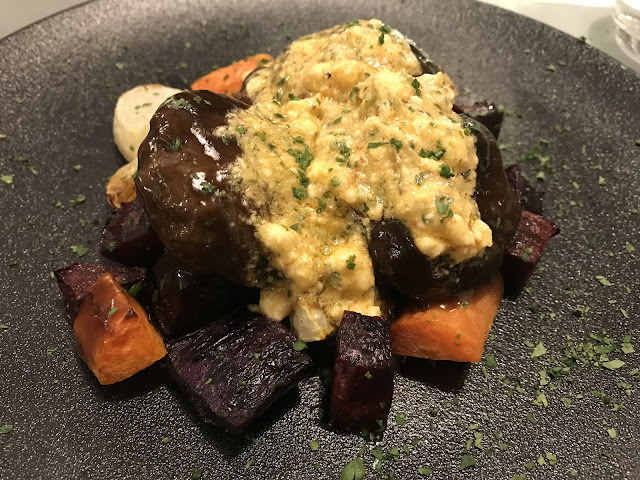 Pictured below: an amuse bouche of fried shrimp, fennel, and spicy sauce; a spin on Sicilian caponata, where the caponata is shaped in to a cylinder and fried in oatmeal flour, served with an almond sauce; tuna with a bell pepper sauce; kofta, or lamb meatballs with a pistachio and feta sauce, roasted beets, carrots, and onions; and finally, roasted quail with cranberries and escarole. 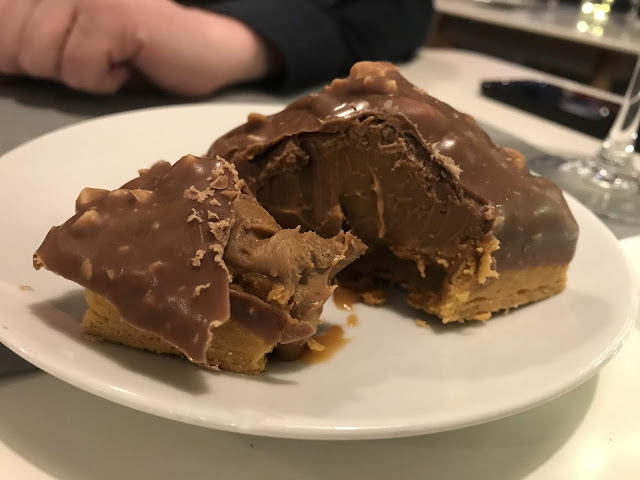 The desserts were similarly fantastic, and actually quite American, the highlight being the Twix, "revisted," a shortbread base covered in salted caramel and chocolate. Need I say more?! 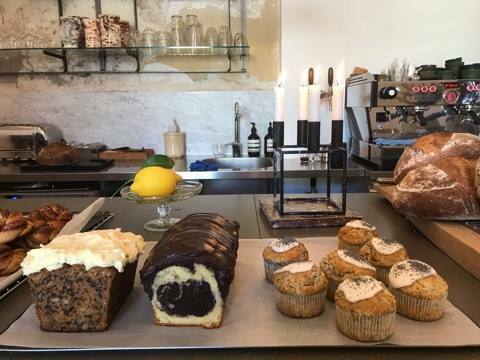 Bonus: I've only been for dinner, but Altrove also is bakery and cafe' during the day, and is open at lunch, too, where they offer a buffet. Hours: Open Tuesday-Thursday from 8:30-5pm; Friday from 8:30-11pm; Saturdays from 9:00-11pm; Sundays from 9:00-5pm. Ahh, Marigold! Where to begin?! 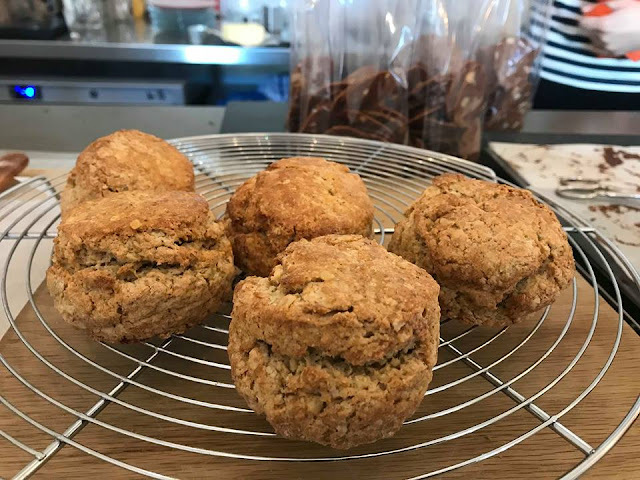 I have so many things to say about this restaurant/micro-bakery that I could easily go on for a whole blog post, but I'll try and fit it all in here. 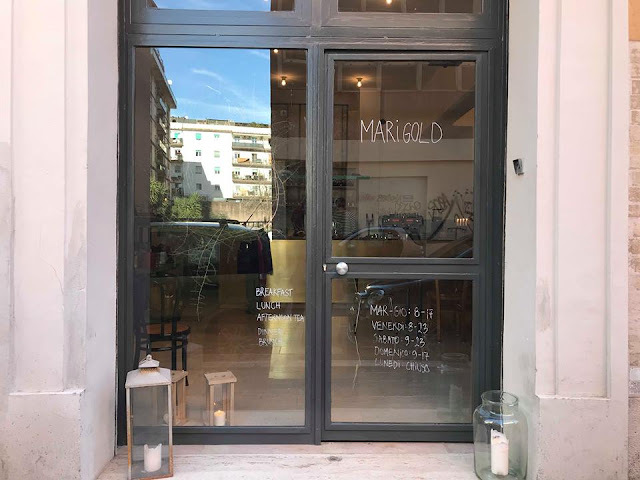 First things first: Marigold is brand new (opened only in December 2018) and owned and run by Sofie (Danish) and Domenico (Italian) a couple who, up until recently, put their immense talent to use holding pop-up dinners in their home and selling baked goods out of their own kitchen. 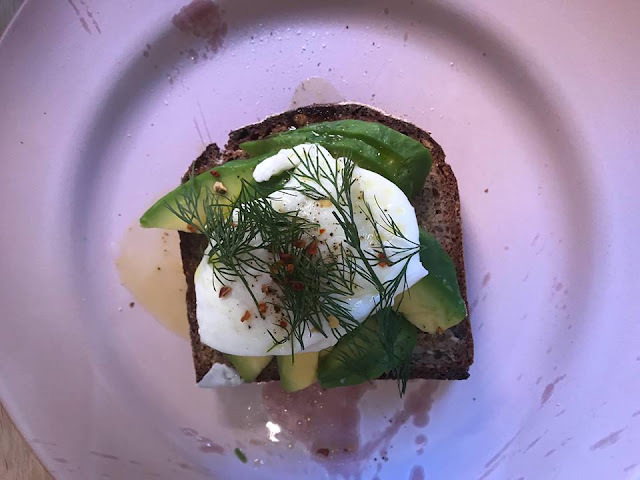 Lucky for all of us, they've expanded into a professional space in the form of Marigold, serving breakfast, brunch (weekends), lunch, and dinner (Fridays and Saturdays). 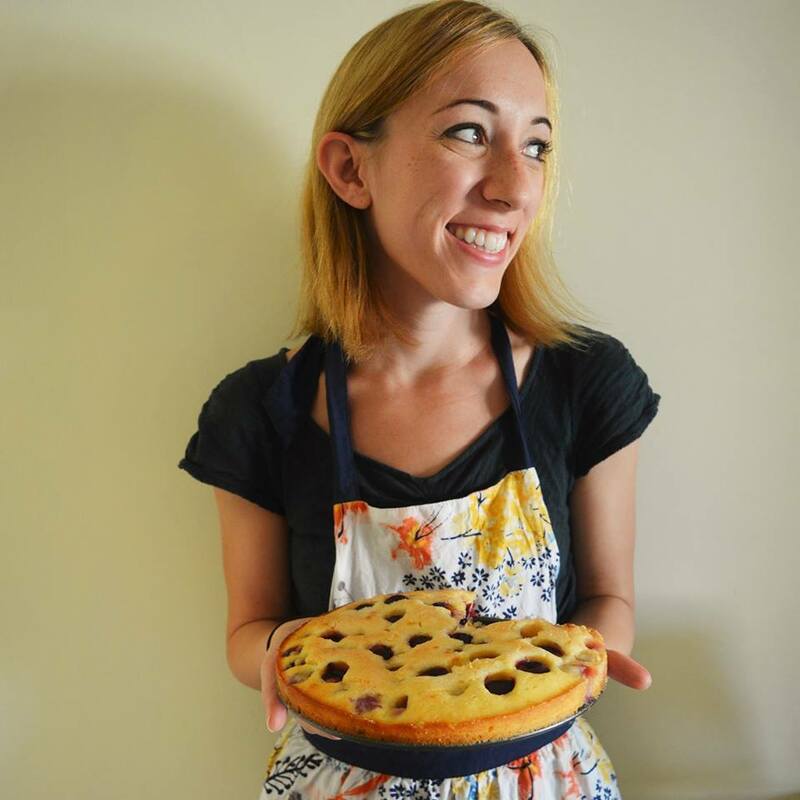 Marigold's food is unique, creative, interesting in a sea of classic cucina romana, offering dishes like slow cooked pork belly with fennel and apple; tortelli with ricotta, lemon, and kale pesto; chickpea and cannellini bean soup with za'taar and yogurt; and pan-fried quail with roasted pumpkin, sage, and broccoletti to name just a few of a spectacular many. 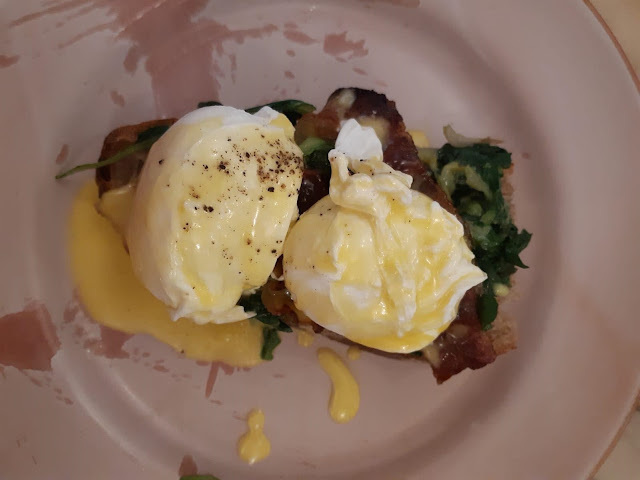 Lunch and dinner aside, there's also BRUNCH, you guys, which is probably the most exciting part for me. 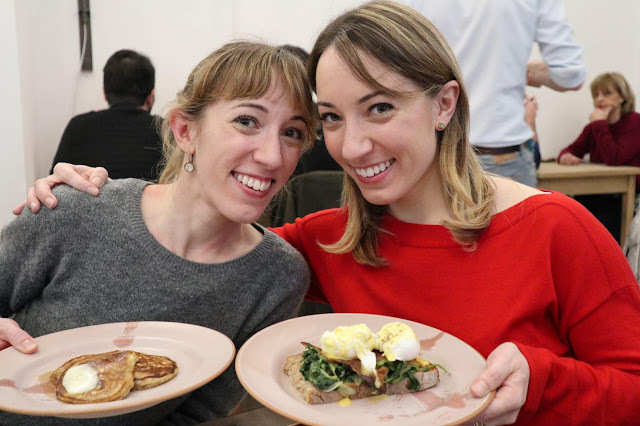 Yup -- finally, finally, there's a real brunch place in Rome, and an exceptional one at that, one that serves up buttermilk pancakes and waffles with syrup, omelettes and toast, homemade sourdough bread with homemade butter, and even eggs benedict (!!!) The best thing you can order at Marigold, though, at least in my humble opinion?! 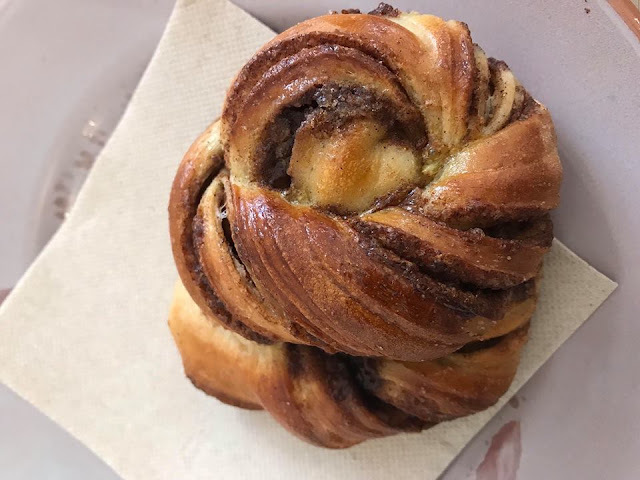 Sofie's homemade cinnamon twists, fragrant with cinnamon and lots cardamom, soft but still a bit crisp from the caramelized sugar that seeps out while baking, a dream when eaten fresh out of the oven. 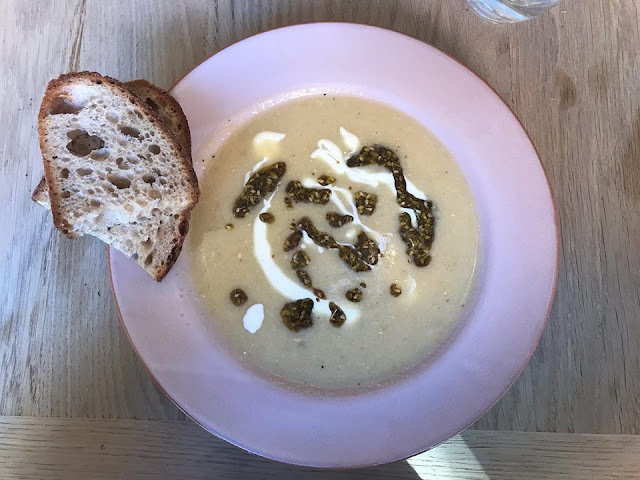 Bonus: It's not just Marigold's food that's wonderful -- everything at Marigold is spot-on, terrific, from the effortlessly chic less-is-more décor to the best-of-the-best ingredients to the incredibly lovely staff. If I could go there every day, I would; I think you'll feel the same way too. Hours: Closed on Tuesdays and Thursdays. Open all other days 7pm-midnight. Within seconds of entering Seu, it becomes clear that this is not just any pizzeria -- this is a pizzeria where people take pizza very, very seriously. 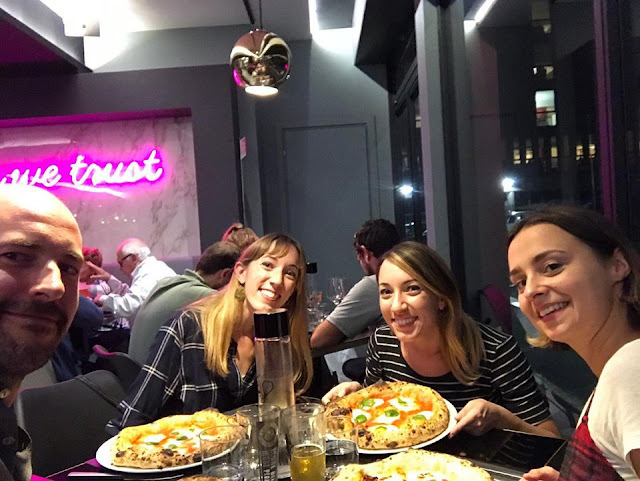 Their motto -- inscribed in impossible-to-miss neon pink writing on the wall -- is "In Pizza We Trust," and I think that about sums it up. 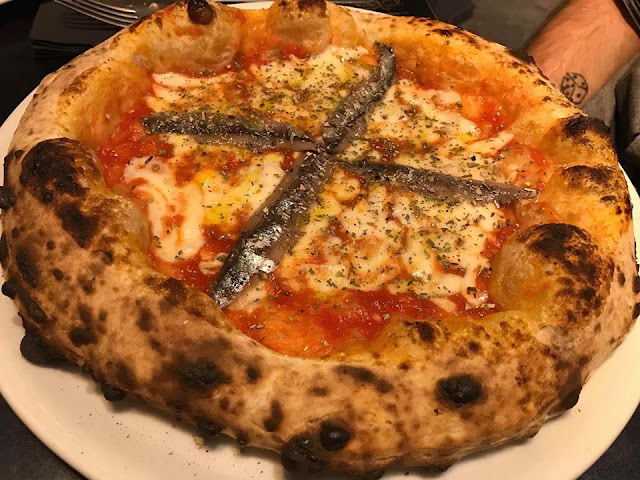 Seu is run by Pier Daniele Seu, pizzaiolo illuminato, or rather an enlightened pizza maker, which may seem like a weighty claim, until you try the pizza, at which point it all makes sense. 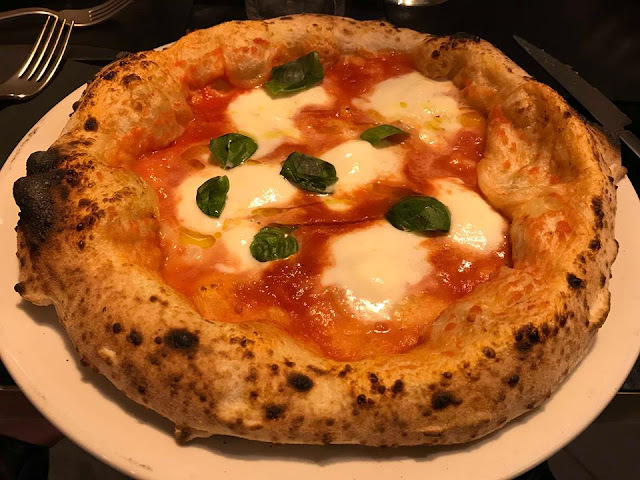 First things first: Seu's menu is divided into 3 sections, starting with "Le Classiche" (with classic pizzas like la margherita and la marinara, for example) "Old School" (spicy diavola pizza, decadent 4 formaggi,) and "Seu"(creative pizzas like "La Indiviata" with endive, mortadella, ricotta, pistacchio, and nutmeg). 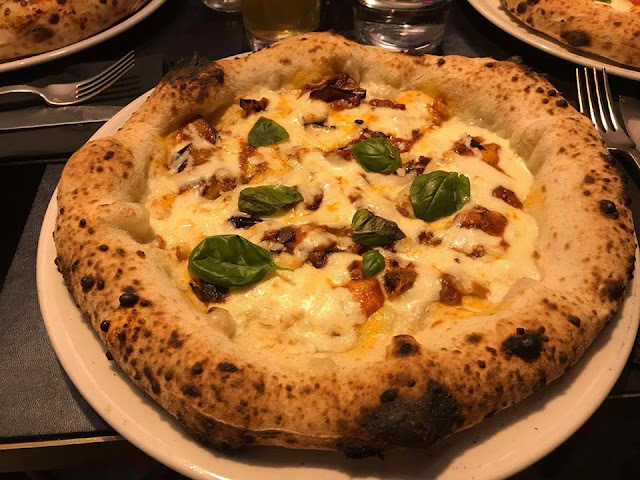 Under the toppings there is the crust, one that is neither traditionally Roman (thin, crisp, borderline crunchy crust) nor traditionally Neapolitan (thick, fluffy crust). 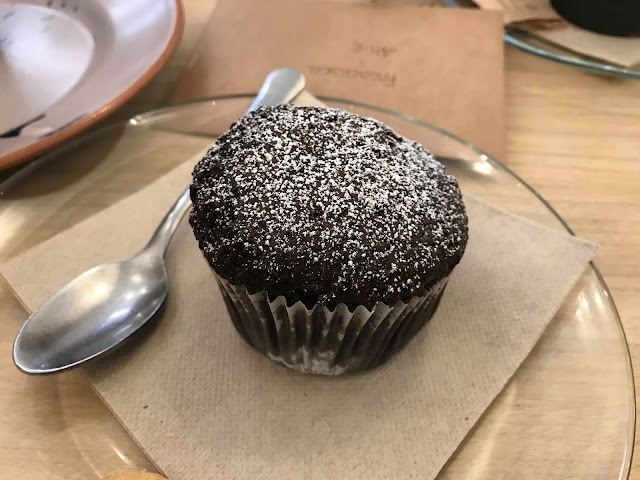 Instead, it's sort of via di mezzo, or a compromise, one that is medium in its thickness, incredibly soft ad slightly chewy, and it's divine. All pizzas, in my opinion, should be preluded with a good set of fritti. 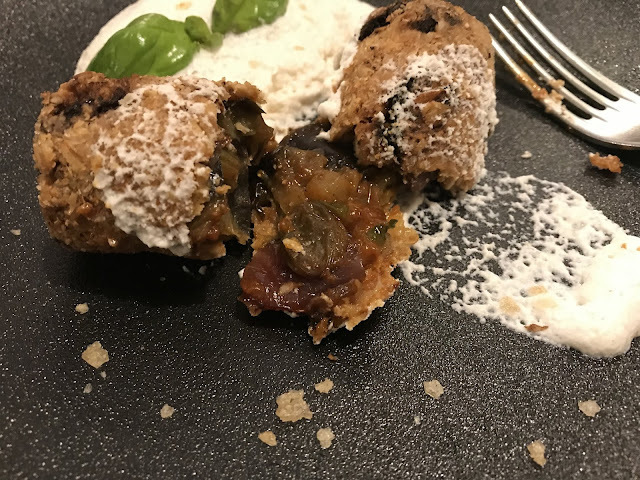 like the suppli' pictured below, an assortment of bruschette, if you prefer. 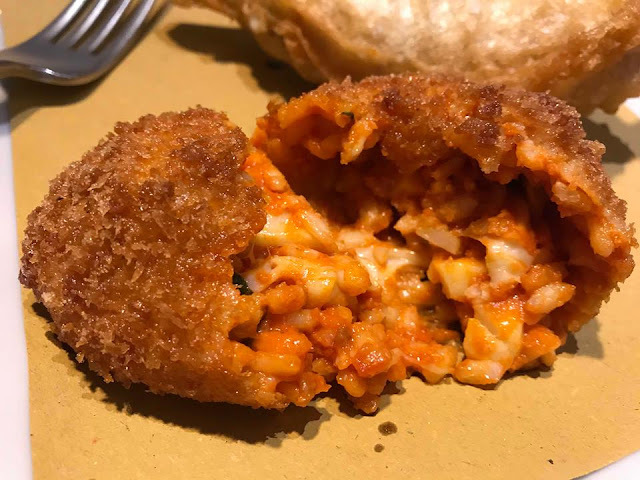 Bonus: If you find yourself around Mercato Centrale at the Termini station -- another places that deserves a mention in a blog post somewhere, as its one of my very favorites -- Seu has another pizzeria there, too. Hours: Tuesday-Sunday, 7pm-11pm. 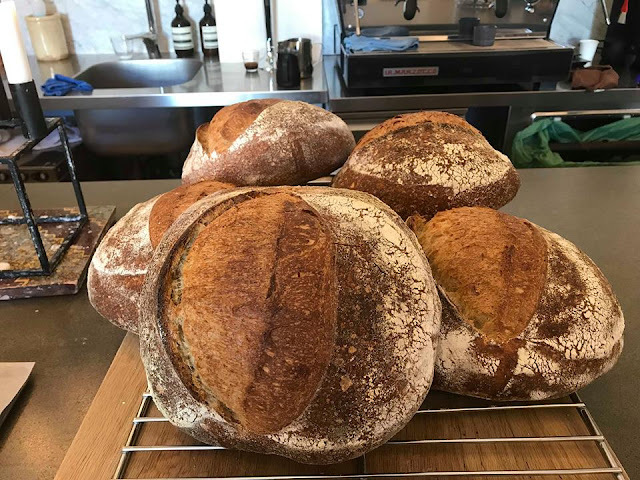 Open for lunch Friday-Saturday, noon-3pm. 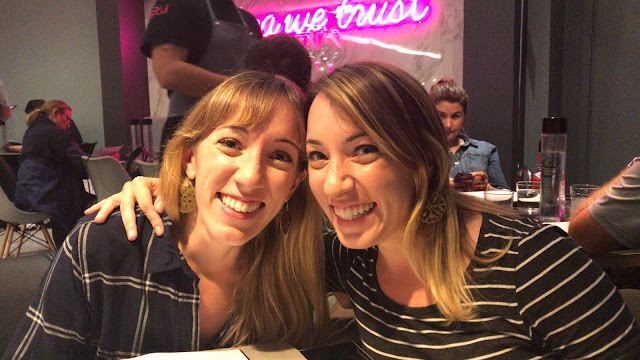 On my 30th birthday I took my sister's sage advice and made a reservation for our celebratory dinner at Trattoria Pennestri -- and gastronomically speaking, my third decade of life couldn't have gotten off a better start. 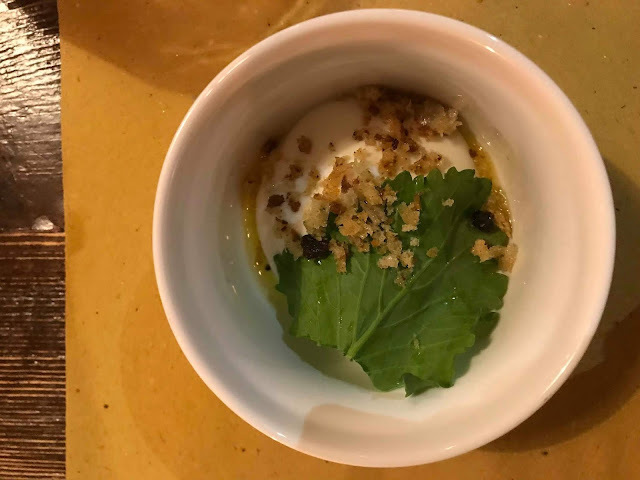 Simply put, the food at Trattoria Pennestri is just so, so good, Italian cuisine, yes, but a sort of elevated Italian cuisine. There's gnocchi, taken to the next level wtih the addition of shrimp and stracciatella; familiar pasta e fagioli, finished off with smoked peperoncino; classic Roman coratella, prepared with lemon zest and topped with ricotta salata; and duck breast with apples and juniper, to name just a few. 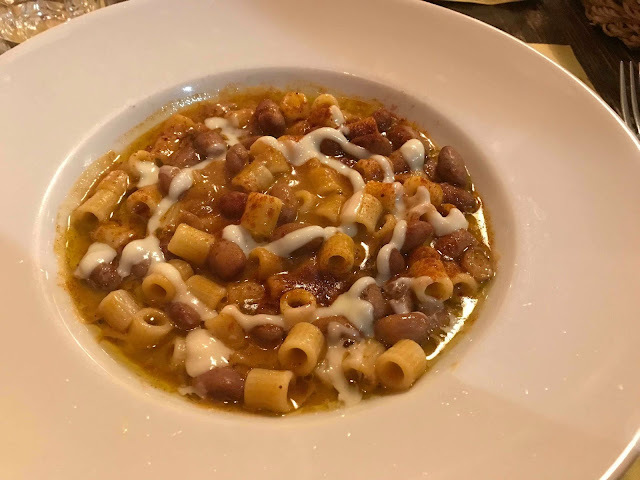 Pictured below: an amuse bouche of of sheep's milk ricotta drizzled with olive oil; pumpkin hummus with primo sale cheese and yogurt; pici pasta with broccoli rabe and crunchy crispy pangrattato; the aforementioned cozy, warming pasta e fagioli. Had we had room for dessert (next time for sure!) 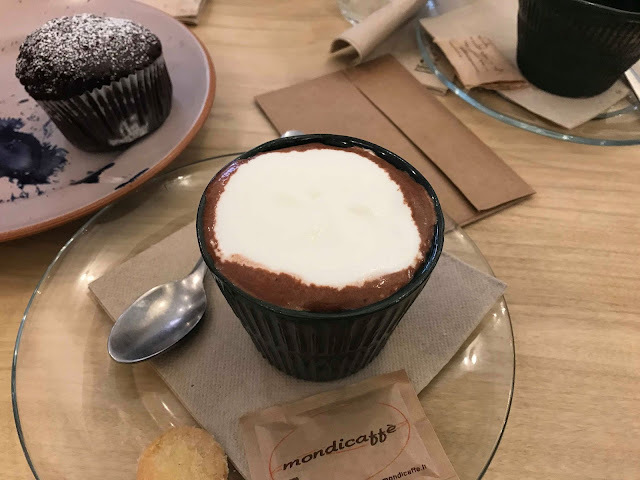 we would've opted for a multi-chocolate mousse, which is one of the restaurants signature ends to the meal. Bonus: You couldn't ask for a nicer staff or a cozier ambience -- all around lovely experience. 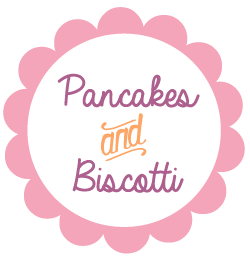 Hours: Monday-Saturday, 7:30pm-10:30pm. Thursday-Saturday, lunch from 12:30-2:30pm. 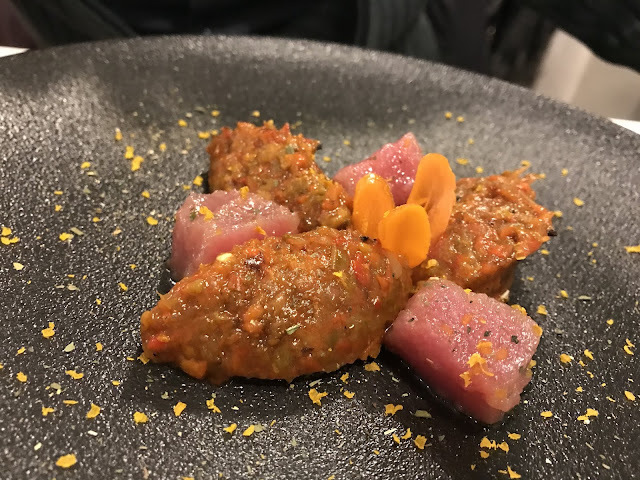 Zia Restaurant -- which opened just under a year ago -- has been on my Favorites list for a while now, and having already covered the sweeter side of the menu, I thought it was about time I shared the savory side of it with you, too. 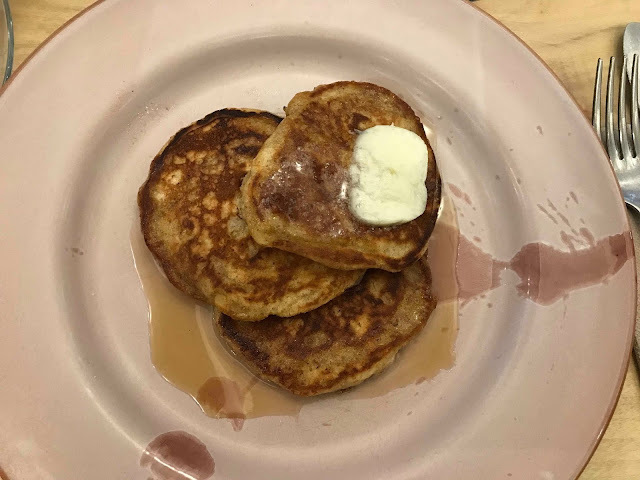 The dishes at Zia -- run and owned by the incredibly talented Antonio Ziantoni -- are creative, beautiful, and delicious in that way where a telltale hush falls over the table as all parties take their first bite ** gazes off dreamily in to the distance. 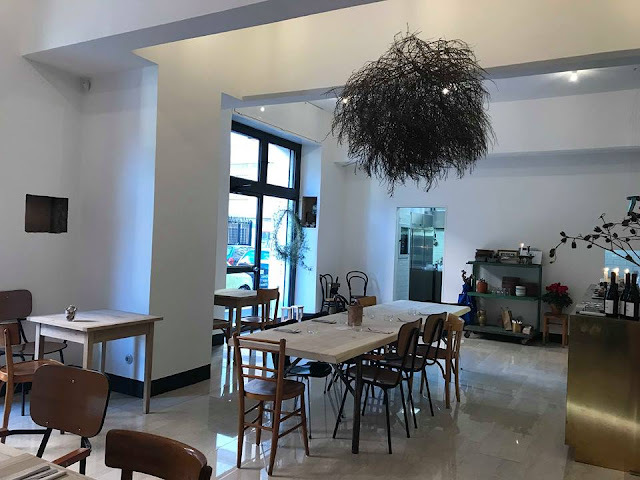 ** The current menu boasts dishes like savory foie gras macarons; scallops with leeks and almonds; gnocchi with pumpkin, melty castelmagno cheese, and rosemary; tortelli with mushrooms and sea urchin; and even barbecue beef. To finish the meal, pastry genius Christian Marasca offers desserts like the oh-so-magical Nocciola, or Hazelnut, consisting of hazelnut mousse, vanilla caramel, and praline and hazelnut cookie; the Tourbillon, or a swirly, intensely vanilla-y tart; homemade chocolates; and currently on my radar and begging to be tried, La Mela, or vanilla mousse filled with a filling made with both cooked and raw apples and shaped and decorated to look just like an Golden Delicious (!!!) 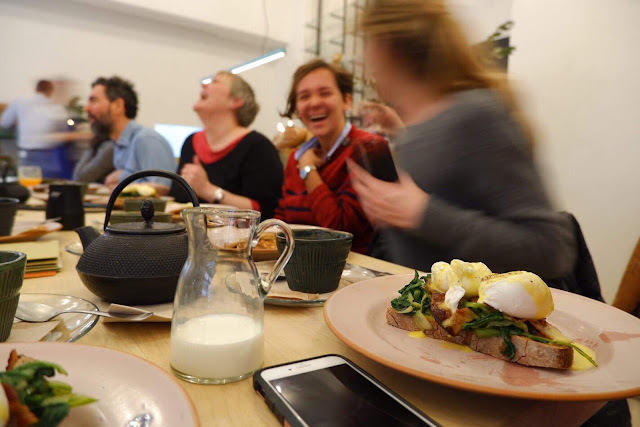 Bonus: The staff are some of the nicest, most accommodating people you’ll ever meet. Note: Zia is a bit too dark to take photos fit for the blog, so I've borrowed some from Instagram. Photos below courtesty of www.instagram.com/ziarestaurant and www.instagram.com/christianmarasca_.